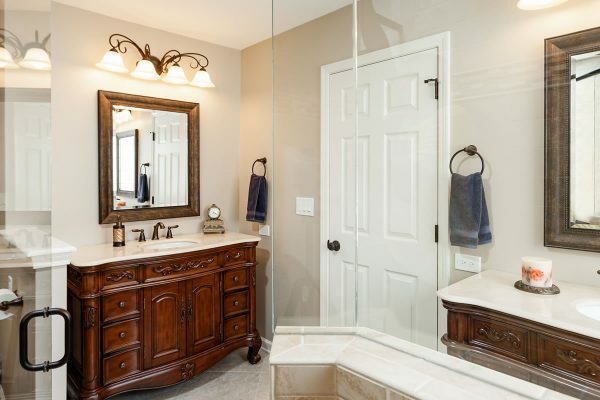 This master bathroom started as a typical builder-spec bath in a development where many of the floor plans are similar. Detailed Interiors was selected to increase both functionality and aesthetics. 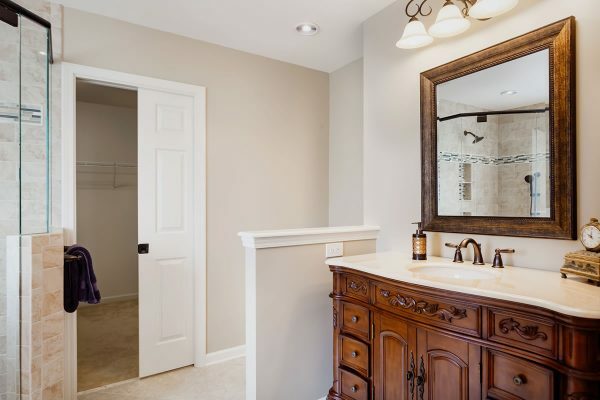 The overall footprint remained the same, but major changes throughout the space make the bathroom feel far more open and inviting. Unfortunately, during demolition the team discovered the existing under floor plumbing was substandard and on the verge of failure. This led to a complete retrofit with quality labor and materials, thereby providing the owners with peace of mind for years to come. 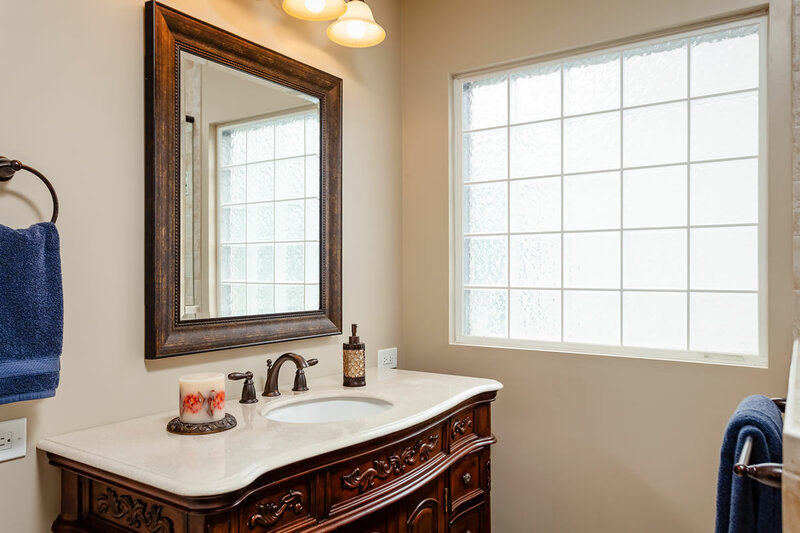 A rarely used fiberglass bathtub was removed from under the glass-block window and replaced with marble-topped, furniture-style sink vanity that’s complemented by a framed mirror and designer light fixture. With the wall between the tub and old shower removed, the shower footprint more than doubled. 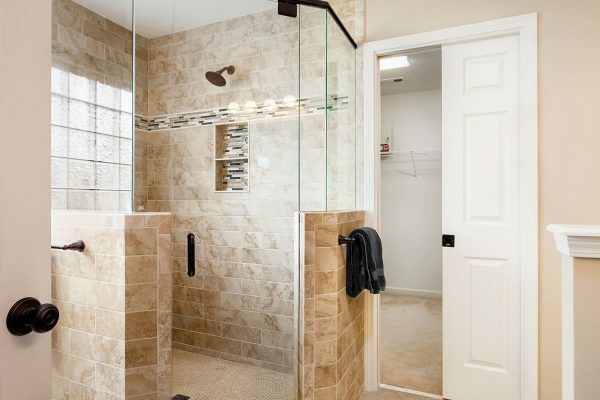 A no-step entry improves accessibility, while custom tile on the floor and walls, combined with glass along the top of the pony walls, replaced the claustrophobic, one-piece shower surround. 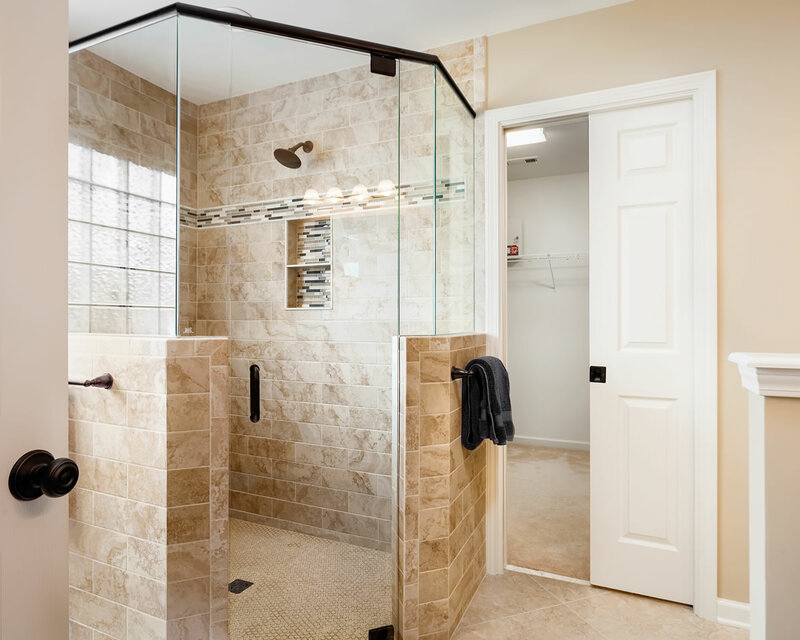 The net result is a spacious, inviting shower that allows in ample light and creates an all-around more expansive space. 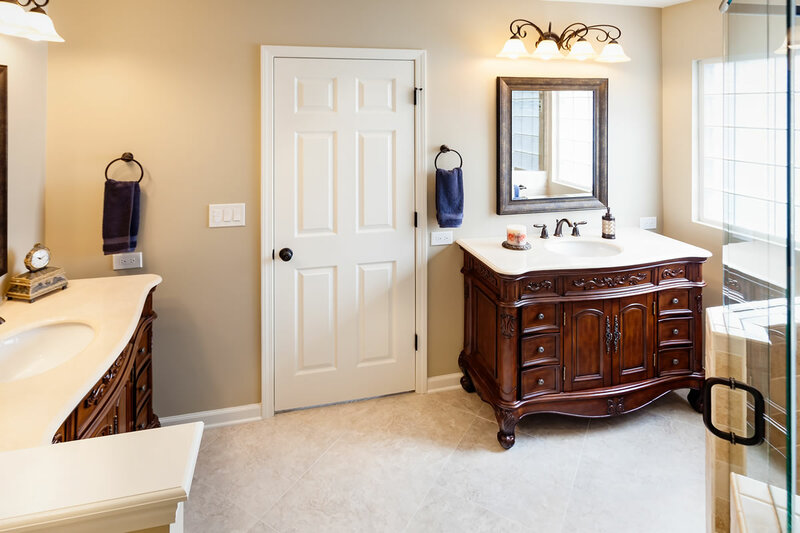 To improve flow and accommodate the size of the new shower and vanity, the entry door and the door to the close were shifted away from the exterior wall. 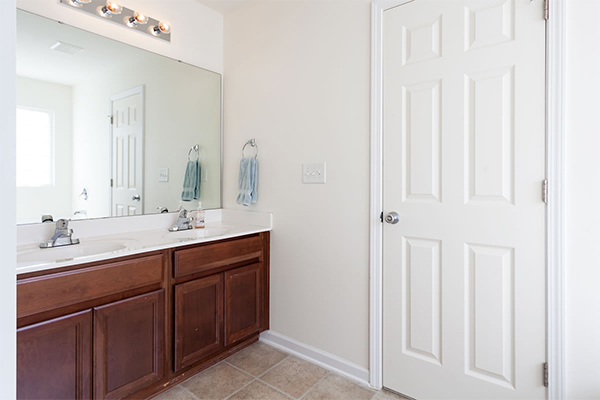 The small, dark water closet was removed completely, trading the door and walls around the toilet area for a simple pony wall that still provides privacy. Finally, the old two-sink vanity was removed to make way for a single-bowl vanity, matching the one by the window. 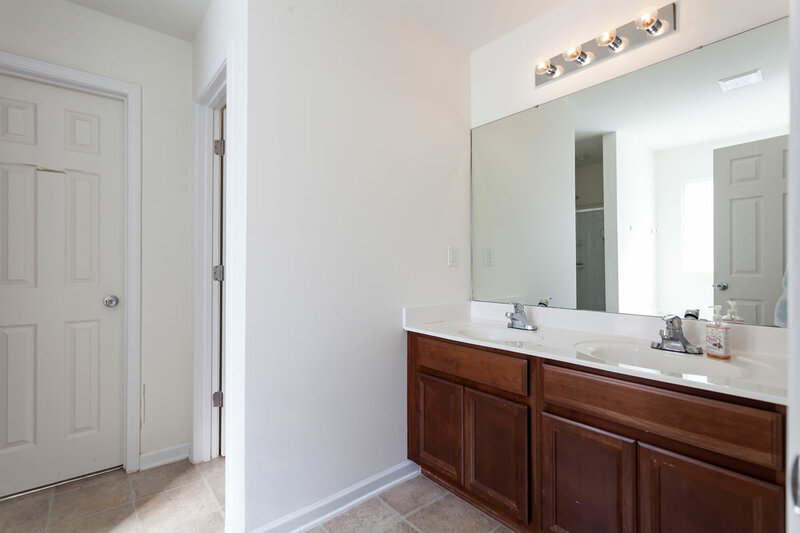 The wall-to-wall sheet mirror and open bulb light bank were replaced with a new framed mirror and designer light fixture. Ceramic floor tile laid on the diagonal, adds to the luxurious feel of the room. 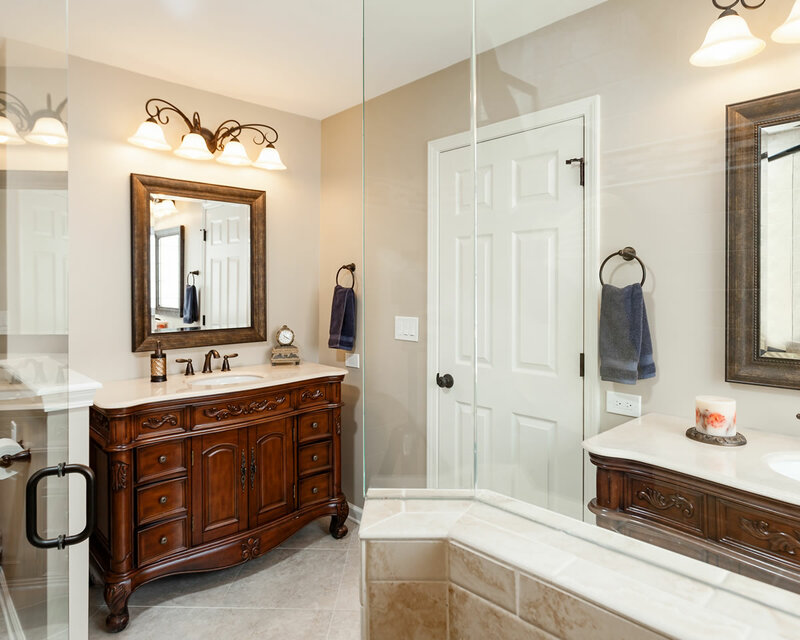 Frameless glass shower enclosure and door highlights the tile and creates a more natural, open feeling. 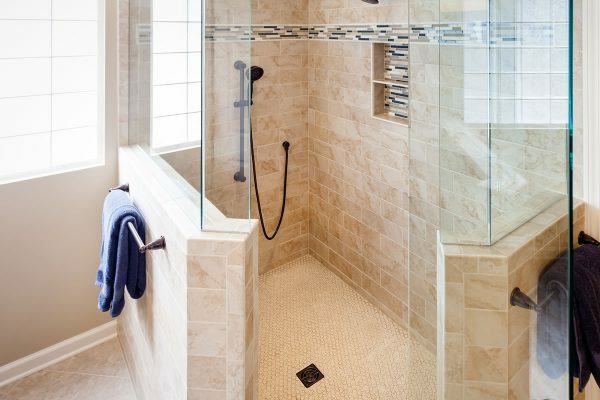 A no-step entry avoids stubbed toes and makes for a smooth transition into the shower area. Custom tile adds visual interest and accents the built-in soap and shampoo shelf. 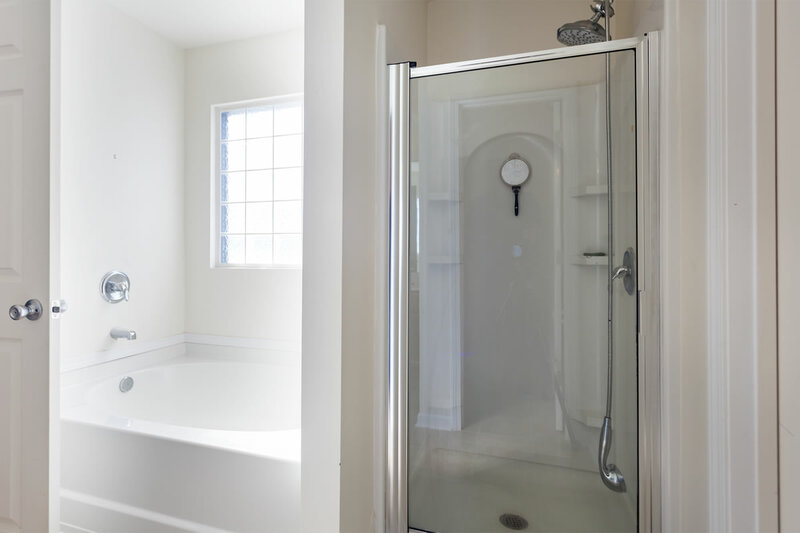 A spa-style sliding and removable auxiliary shower head allows for a body spray, or can be used as a hand-held option. There is a separate, fixed shower head above the shelf. The overall shower footprint more than doubled as a result of the remodel, and custom tile is a vast improvement over the fiberglass tub. 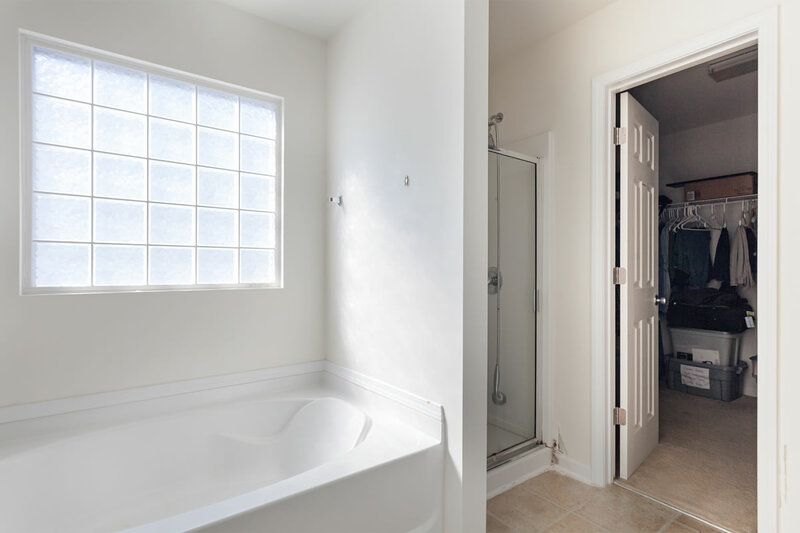 Pony walls topped with glass let in lots of natural light, and allows light from the shower glass-block window to filter in as well.